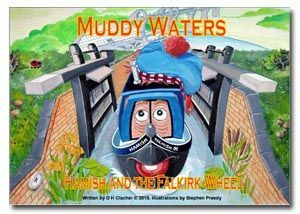 Following his visit to Thrupp, Hamish leads his old friend Muddy Waters, and an excited Jolly Boatman on the long journey to Scotland. Overawed by the huge wheel, can Jolly overcome his fears? See the other nine Muddy Waters stories in the Non-Scottish/Childrens section.